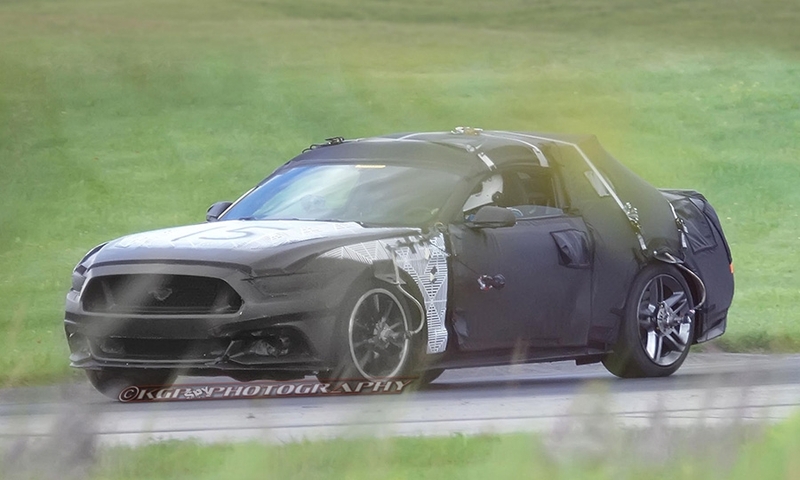 The Mustang test car captured in the spy photo, left, has shades of the Evos, above, and Shelby Mustang GT500, top. "Mustang has come to be much more than just a car for its legions of fans spanning the globe," said Jim Farley, Ford's global marketing chief. Automotive historian John Wolkonowicz tells the story of the Ford Mustang. View this in a new tab. Editor's note: In an earlier version of this story, the name of Ed Jolliffe, owner of Gorno Ford in Woodhaven, Mich., was misspelled. PEBBLE BEACH, Calif. -- Before Ford decided to take the next-generation Mustang global, the company had to search for the soul of its celebrated nameplate. 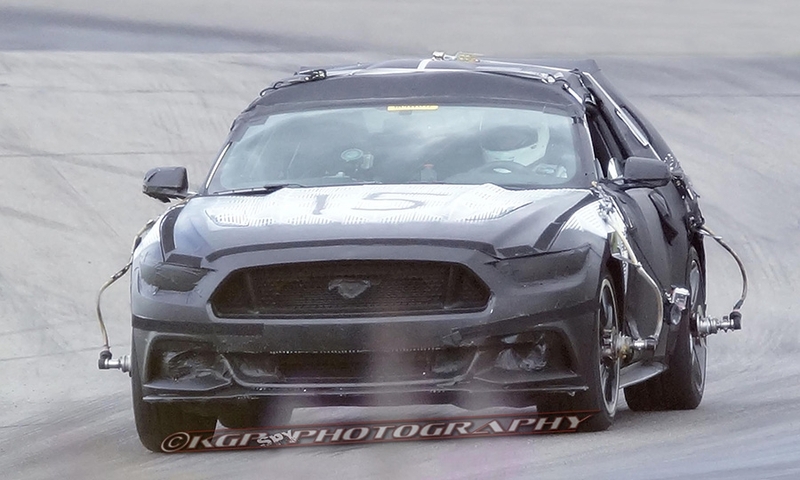 The debate came down to a very narrow view of the Mustang vs. a broader definition, says Jim Farley, Ford's global marketing chief, a Mustang fanatic who loves to rip around a track in Ford's pony car. The question: Is the Mustang purely a guy's go-fast car, or can it appeal equally to women and men? "We did a lot of research and asked ourselves a lot of questions," Farley says. "We came to the conclusion at the end of the day that Mustang is a quite broad American idea of self-expression. Whether you drive a V-6 convertible or GT500 or you have base V-6 that you customize, everyone's Mustang dream is a little different." With that clarified, Ford is embarking on a historic year of change. The Mustang celebrates its 50th anniversary in April -- and Ford already is stoking enthusiasm online with car giveaways. 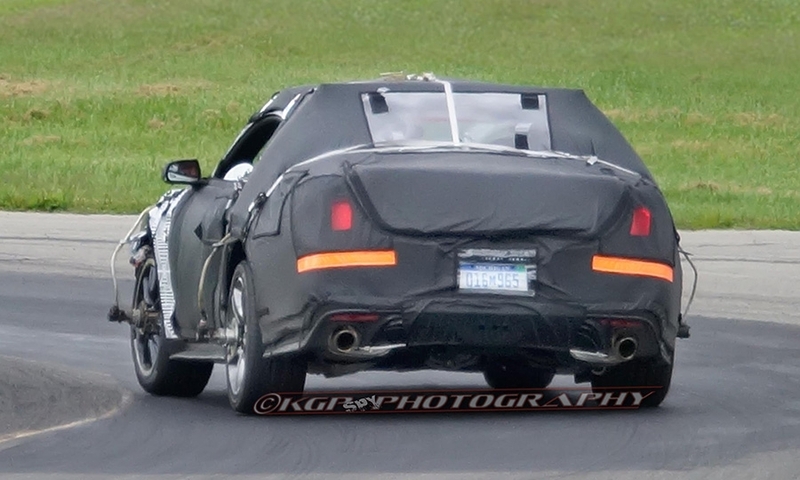 Ford is also readying a new kind of Mustang for global sale, adding an independent rear suspension, turbocharging and right-hand drive for markets such as the United Kingdom and Japan. Farley is Ford's Mustang fan-in-chief. He raced his 1965 Mustang Shelby Cobra to a second-place finish in a race for 1963-65 GT cars over 2,500cc in the Monterey Historic Races this month, posting the fastest lap time in his race at the Mazda Raceway at Laguna Seca. Asked where Mustang might succeed in Europe, where other American sports cars such as the Chevrolet Corvette, have sold in low numbers, he replies: "It's not a Harley-Davidson idea of customization and American. It's a quite aspirational thing for Europeans and people around the world." Farley won't say what Mustang he's referring to. After all, carmakers don't talk about future product. 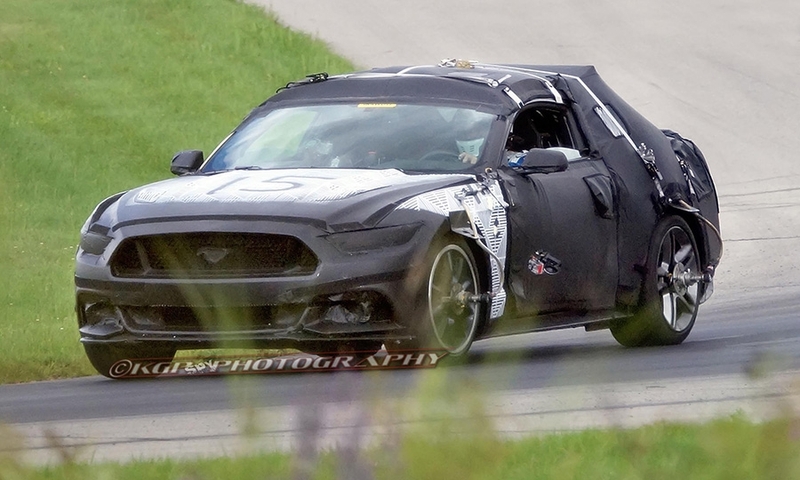 But the sixth-generation 2015 Mustang has been spotted on the road. And that car should arrive sometime around the 50th anniversary of its launch at the New York World's Fair April 17, 1964. Ford is already promoting the 50th anniversary car to enthusiasts, but it isn't saying anything about its Mustang plans. The company is guarding the design like a state secret. 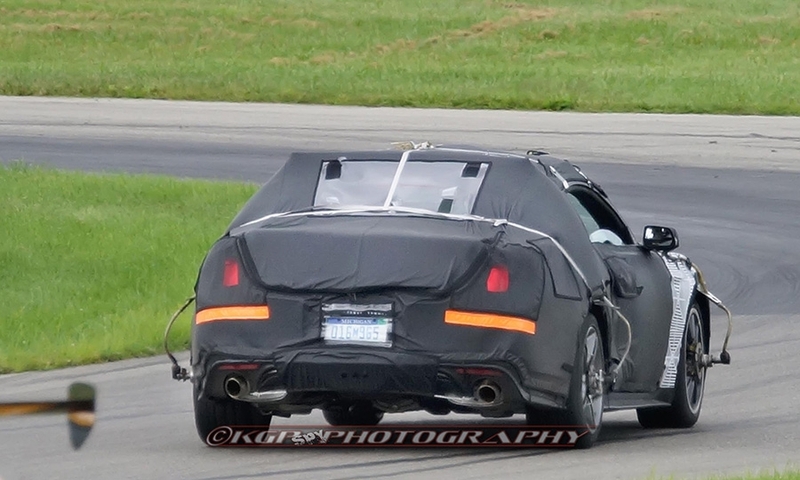 Prototypes shot by spy photographers have been so covered in cladding and camouflage that they look more like advertisements for a tent and awning company. The rumor mill has been overheating. When a Web site recently published an erroneous report that Ford had confirmed a rumor that it would issue a series of 1,000 special-edition 20141/2 cars, Ford was forced to issue a denial. Ford is busy stoking excitement for the 50th anniversary celebration of its pony car on social media channels not even dreamed of when the original Mustang debuted in April 1964. Ford recently launched The Mustang Countdown, a series of YouTube videos highlighting the history and culture of the car. The first clip told the story of the Mustang 1 Concept, a predecessor of the first production Mustang. Ford, one of the carmakers most active in the use of digital media marketing, also is encouraging customers to build their dream Mustangs using a Web tool called the Mustang Customizer. Ford is even giving away Mustangs to some customers who use it to build their cars. As the '60s rolled into the '70s, the Boss 302 was among the hottest Mustangs. It's all part of the buildup to April 17, 2014, the 50th anniversary of the Mustang's appearance at the New York World's Fair, introduced by Henry Ford II, grandson of the company's founder. It was known unofficially as a 19641/2 Mustang even though the vehicle identification numbers identified it as a 1965. With its trademark long hood and short rear deck, the Mustang arrived at an auspicious time, two months after the Beatles made their momentous debut on "The Ed Sullivan Show" and just as the first post-war baby boomers were getting their driver's licenses. The country was beginning to recover from the trauma of President John F. Kennedy's assassination. The Civil Rights movement was in full bloom. It was a time of cultural ferment. People were looking for a diversion, some joy and excitement. The Mustang brought a touch of glamour that would inspire rivals to launch their own pony cars, such as the Chevrolet Camaro. Ford has offered the Mustang continuously since the beginning, five generations and counting. Other pony cars, such as the Camaro, Pontiac Firebird and Dodge Challenger, have come and gone and come again. Only the Chevrolet Corvette has remained in constant production, but it's a two-seat sports car and not really a Mustang competitor. Fifty years after its grand entry at the World's Fair, Ford will attempt to make the Mustang a true world car. Ford will offer the Mustang in right-hand-drive versions in far-flung locales such as the United Kingdom and Australia, where enthusiasts had to settle for importing it on the gray market. 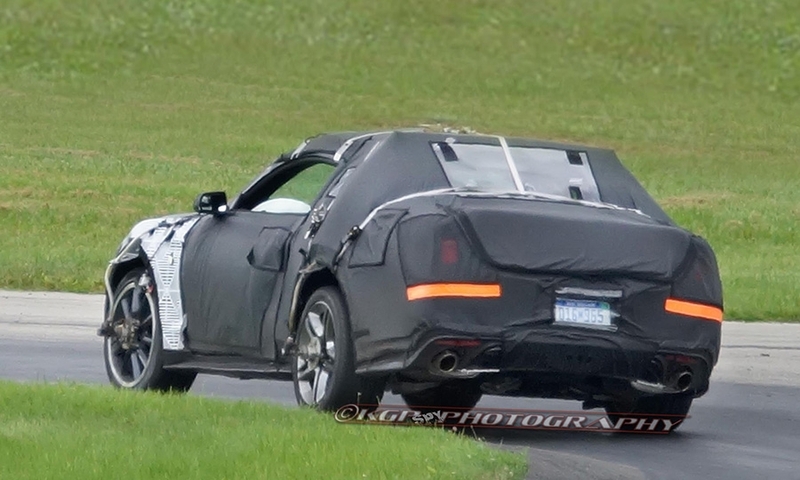 Ford has said little about its plans for the 2015 Mustang, but some details are emerging. 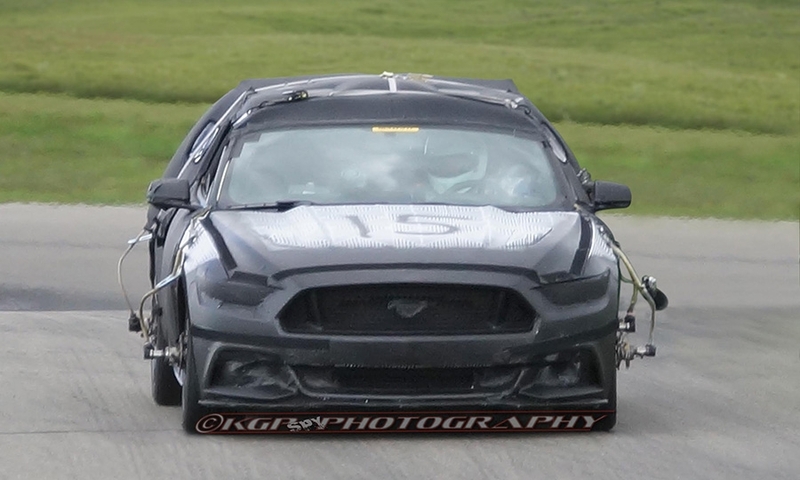 The new Mustang will have an independent rear suspension and turbocharging, features only offered in the past on high-performance specialty models. 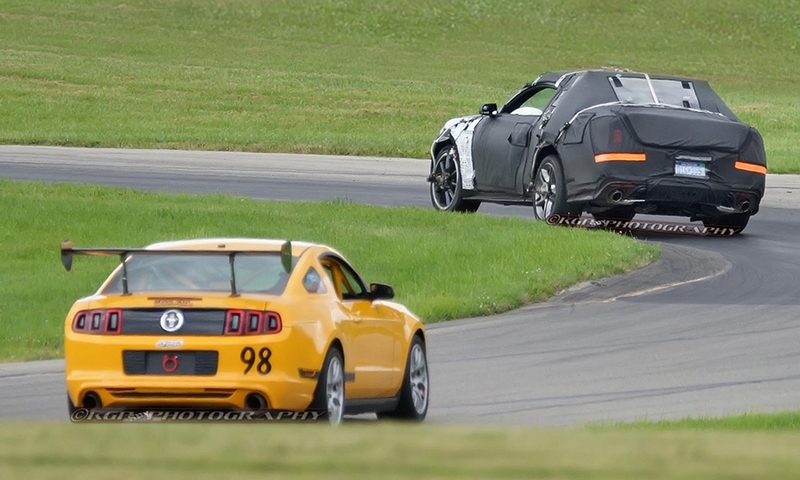 Those additions will help make the Mustang competitive with rival sports cars in Europe. The next-generation Mustang also will come with sophisticated communications and navigation systems that are the price of entry in today's auto market. To the relief of the faithful, it looks like the Mustang will stick to its roots, remaining the only rear-wheel-drive car in the Ford fleet other than the Falcon in Australia. In making the Mustang global, Ford's challenge is to remain true to its all-American pony car appeal -- moderately priced performance. • Ford launched the Mustang on April 17, 1964. • In 1965, the first full sales year, Ford sold 524,785 Mustangs. • Peak sales came in 1966: 549,436 units. • Sales dropped to 120,589 by 1972, rebounded to 304,053 in 1979. • Lowest point came in the 2009 downturn: 66,623 units. • In 2012, Mustang sales totaled 82,995. Ford pitched the 19641/2 Mustang as just that: a dream of personal mobility come true. Said one Ford advertisement at the time of the World's Fair: "Out in the Ford pavilion, there's a daydream corner called Mustang. This is the car that dreams are made of. So dream your own Mustang. Take your choice of a 6 or three V-8s, power steering, power brakes, automatic or standard transmission. Dozens of options. But as standard equipment, you get bucket seats, wall to wall carpeting, all vinyl seats, padded instrument panel and full wheel covers. Even though Mustang is a dream, it's low, low price is beautiful reality." Based on the second-generation Ford Falcon platform, the Mustang program was one that Alan Mulally could appreciate: a new vehicle made with lots of parts already used on other Fords. The Mustang's price was considered a bargain -- $2,368, similar to a 1964 Ford Fairlane hardtop coupe at $2,341. Despite the low price, Ford minted money on the program, launching the career of Lee Iacocca, widely credited as the father of the Mustang. "The financial guys said, 'We'll give you $75 million to do the car.' But we already had all the powertrains. And you know, the Mustang was bare-bones stuff," Iacocca told Automotive News Managing Editor Richard Johnson in the 2005 book Six Men Who Built the Modern Auto Industry. "They based the financial planning money on 75,000 units a year. ... We sold 500,000 the first year. They couldn't count the money fast enough." Actually, Ford sold nearly 525,000 Mustangs in its first full year, 1965. It took 22,000 orders the very first day. Only the Ford F-150 pickup hits those kinds of numbers these days. The humble Falcon-based platform spawned a series of now-legendary performance machines, including the 1967 Shelby GT500, the Boss 302 and 429 and the Mach 1. The fifth-generation 2005 -- whose styling cues harkened back to the Mustang's roots -- was a resounding return to form. In the years since the introduction, Ford has had its share of Mustang hits and misses. There was the frumpy second-generation Pinto-based car and the boxy-looking third generation, based on the Fox platform. The Mustang has come in all flavors: from the mild-mannered 170-cubic-inch 101-hp V-6 teamed with a three-speed floor-mounted manual to the preposterously powerful 5.8-liter 662-hp V-8 capable of pushing the 2014 Mustang Shelby GT500 to 200 mph. Says Jim Hall of 2953 Analytics in Detroit: "When the Mustang came out, it hit everything right. It is a case of survival of the fittest. It lasted when its competitors went away." And when the Mustang was dramatically redesigned for the fifth generation in 2005, it once again laid down a marker for others to follow. "It got good enough that it induced its two major competitors to go back into the market," says Hall, referring to the Dodge Challenger and Chevrolet Camaro. So how does the Mustang stay relevant in the age of look-alike crossovers, plug-in electrics, computer-aided design and infotainment overload? Automotive history buff and onetime Mustang design consultant John Wolkonowicz vividly remembers the thrill he felt as a 13-year-old accompanying his father to see the first Mustang at Heywood Brunmark Ford in Worcester, Mass., in April 1964. Wolkonowicz, who worked as a design consultant to Ford on the 2005 Mustang project, says the Mustang is more important than ever. "There's all this publicity about these alternate powertrain vehicles, but that's not where the fun is. Fun is where the Mustang is. It has the same relevance as it did in 1964. It's the iconic car in the brand. It makes the brand exciting." As a rwd pony car, the Mustang stands out from today's hybrids, plug-ins and look-alike styling, in Wolkonowicz's view. "We're in a very different era. Mustang is part of a very elite group of muscle cars, along with a handful of rear-wheel-drive American cars. The Mustang is in some ways more special than it was in 1964 because the average car today is very bland." Woodhaven, Mich., Ford dealer Ed Jolliffe is just dying to know what the next-generation Ford Mustang will look like. He expects Ford to move away from the retro styling of the current car to something more muscular. "I think they know they cannot mess this one up," Jolliffe says. "The purist has to love it, and the people coming to the car have to love it." Farley says Ford is mindful of the challenge, adding that Mustang "isn't the brand image. It's a piece of it." "You know it wasn't about burnouts and going 200 mph. It's about a great-looking car for everyone."